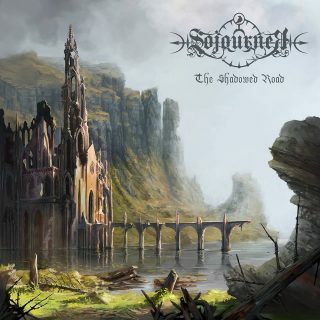 Sojourner : The Shadowed Road album download | Has it Leaked? The day has finally arrived! We are incredibly proud to present to you our new album, 'The Shadowed Road'! Continuing in the tradition of 'Empires of Ash', while forging the sound further outward in all directions, this album has been an all-consuming labor of love for us. Mixed by one of our most enduring influences as musicians and our good friend, Øystein G. Brun (of Borknagar) at Crosound Studio in Norway, and mastered by the legendary Dan Swanö at Unisound AB in Sweden, the production on 'The Shadowed Road' perfectly captures the sound that we have been striving for since we began the band. We are also honored to have guest lyrics on the song 'Titan' written for us by one of our favorite vocalists, Anders Jacobsson of Draconian. For the artwork we commissioned the incredibly talented Romanian artist Bast this time around, who has created both the beautiful album cover alongside several interior pieces that can be found in the physical editions.